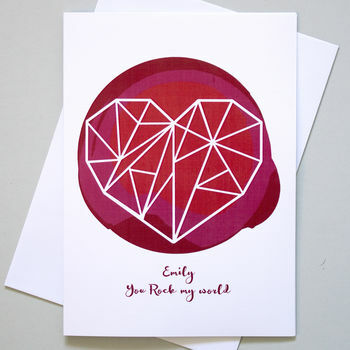 A bright and bold Valentine's Day card which can be personalised with your choice of text on the front. 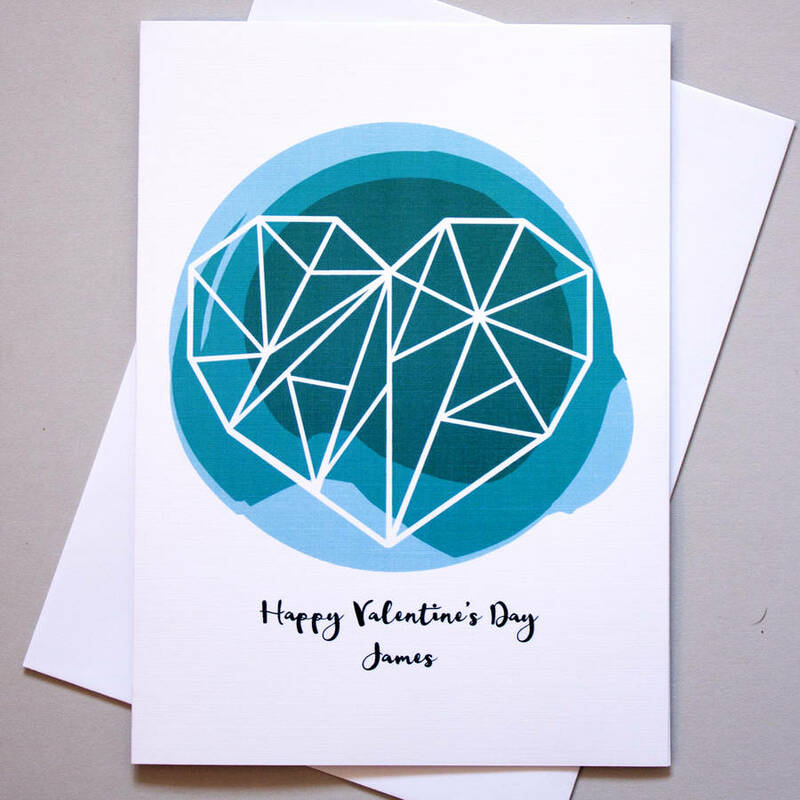 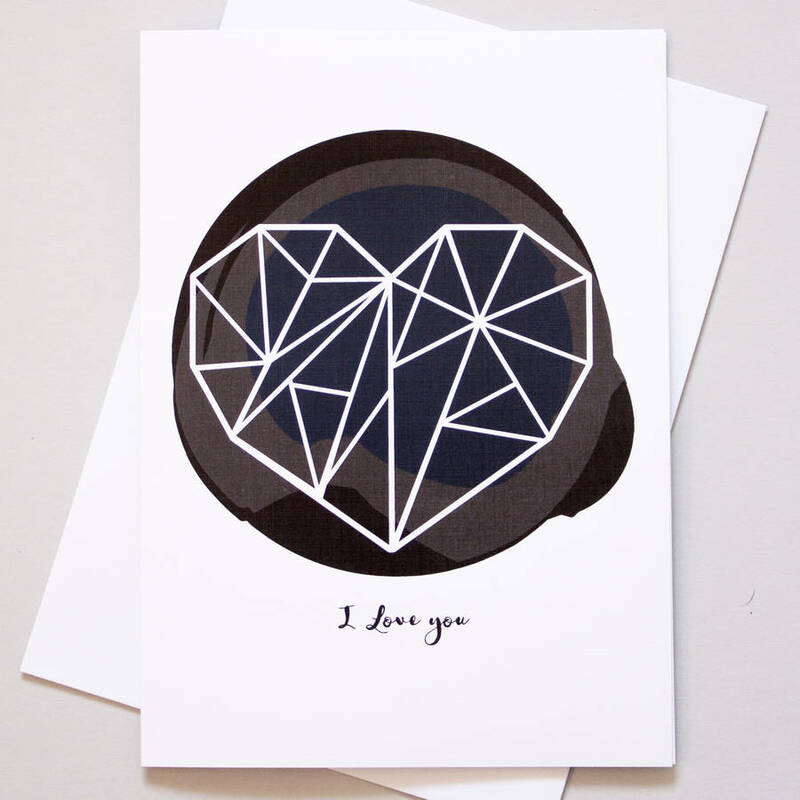 Wish your loved ones a happy Valentine's with this modern style card featuring an original design by Ink Pudding of a geometric white heart on a spot of ink and your own choice of words on the front. 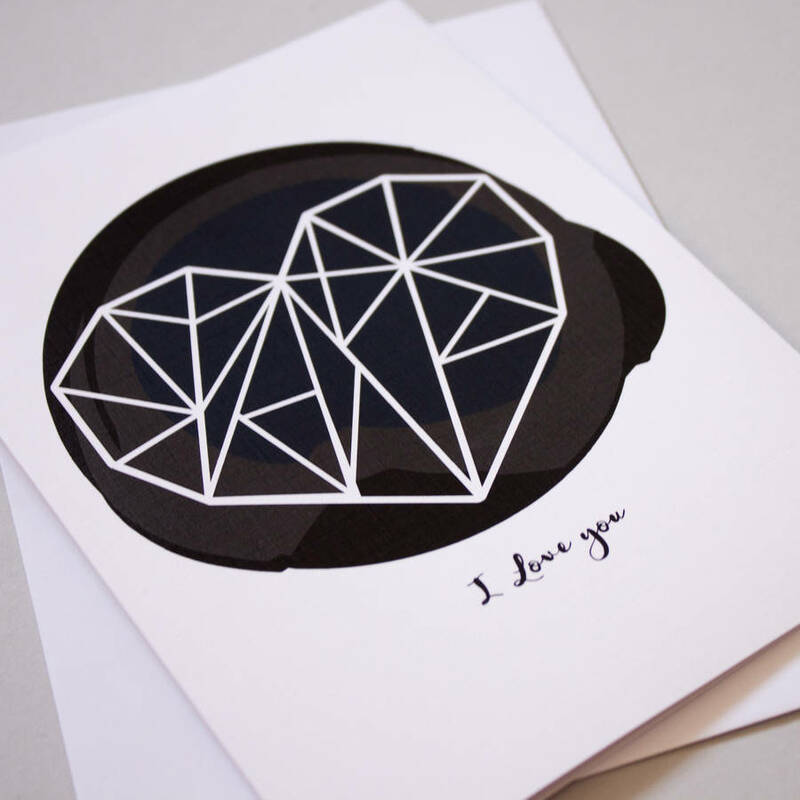 The cards are made to order, and blank on the inside for your own message. 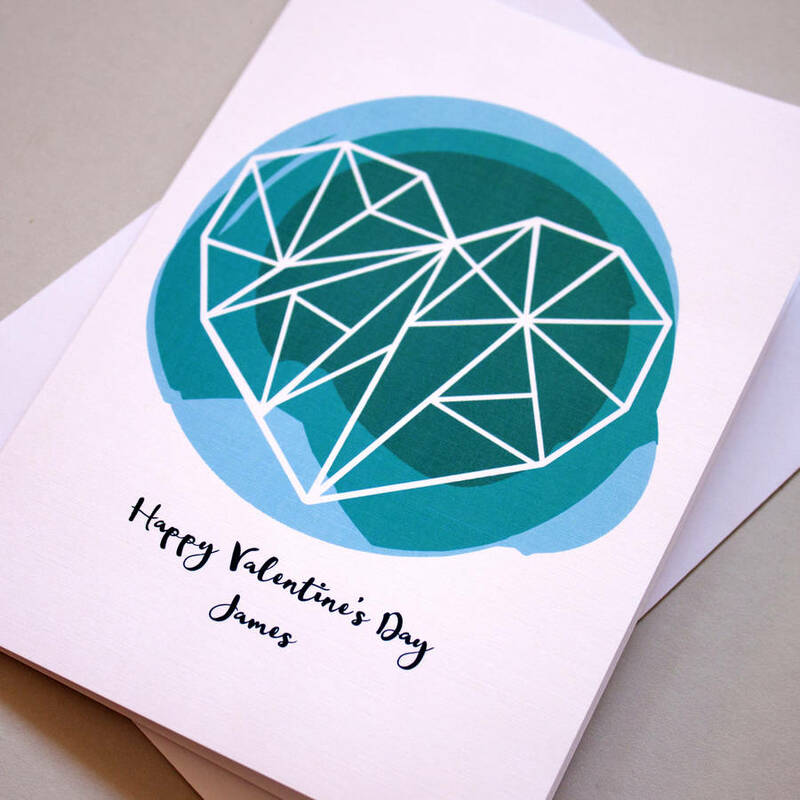 You can choose for a message to be printed inside by selecting the relevant option. 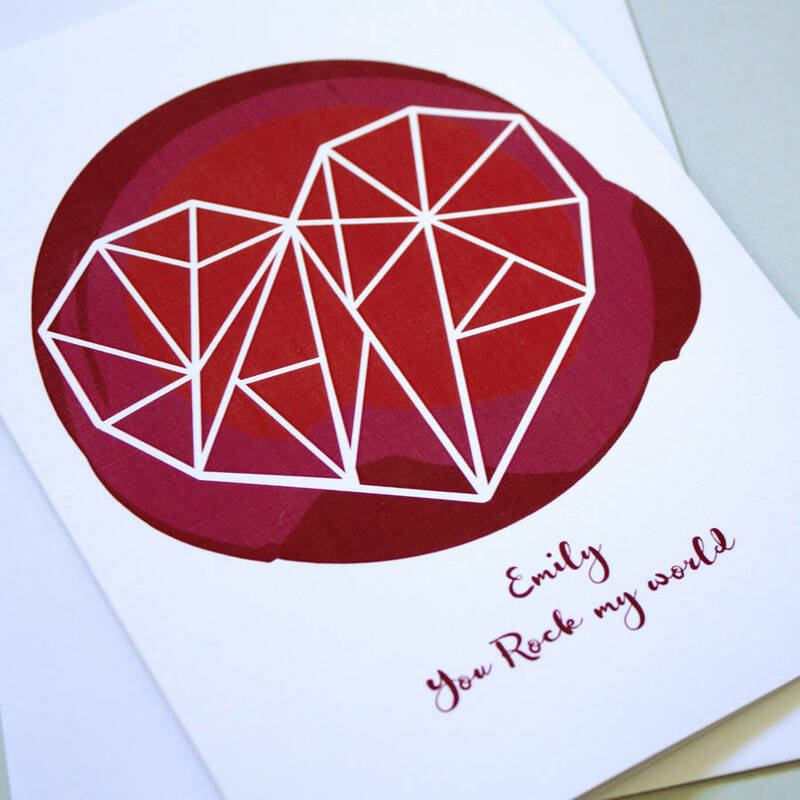 Available in red, blue or black/grey.